Perhaps you've heard about SCAD - a.k.a. the Savannah College of Art & Design? It's been in the Dalton, GA news lately and for good reason. Did you know, though, that there's a further connection between SCAD and DOMOTEX supporter and exhibiting organization AFA? Back in October of 2009, American Floorcovering Alliance Executive Director, Wanda Ellis, and AFA Board Chairman, Elichai Hoenig, discussed the possibility of offering some type of internship program to AFA members that would benefit them in the areas of creative design and sustainability. After all, carpet and flooring companies are always on the lookout for new ideas to incorporate into new product offerings. What better way to do that than to involve fresh, young perspectives from schools that focus on art and design and have an interest in applying that focus to manufacturers involved in home related markets! Savannah College of Art and Design came to mind because SCAD is a premiere school for innovation, sustainability, & design. These compoments are fit perfectly in with what a key focus for the floor covering industry. AFA approached the school and soon after the concept became a reality. In July of 2010, Dalton, Georgia hosted the first ever Savannah College of Art and Design internship program. Interns from SCAD lived in Dalton and worked in several different companies in the Carpet Industry in the design and sustainability areas for 8 to 10 weeks. The program is going to be a long lasting relationship between SCAD and Dalton’s carpet industry and potentially even evolve into something greater in the future, such as a creative design/ fibers satellite campus in Dalton if the program becomes something of that magnitude. 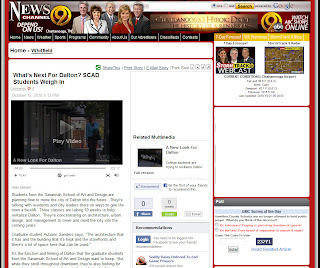 That would certainly have huge benefits for the City of Dalton, the Carpet Industry, and even SCAD. 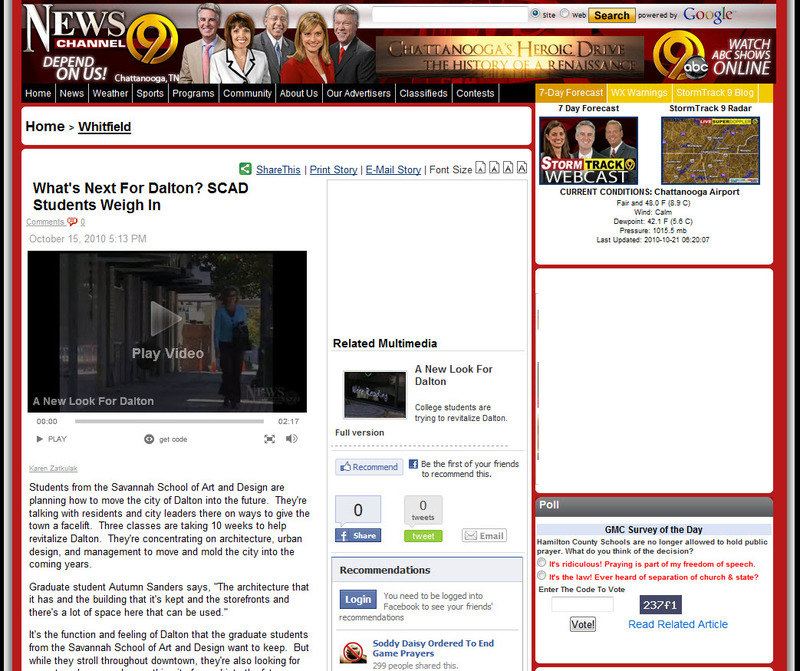 Getting back to why SCAD has been in the Dalton news... Check out What's Next For Dalton: SCAD Students Weigh In. SCAD students are generating conversation with Dalton residents about what makes Dalton unique. As the "Carpet Capital of the World" it certainly carries a lot of history. Won't it be fascinating to see what SCAD students recommend for Dalton's future? Thanks, Wanda and AFA, for putting together such a program!